Paneer pakoras are Indian paneer cheese cubes or slices fried in a gram flour (chickpea flour, also sometimes just called "besan") batter. Ah fried cheese, is there anything more indulgent? 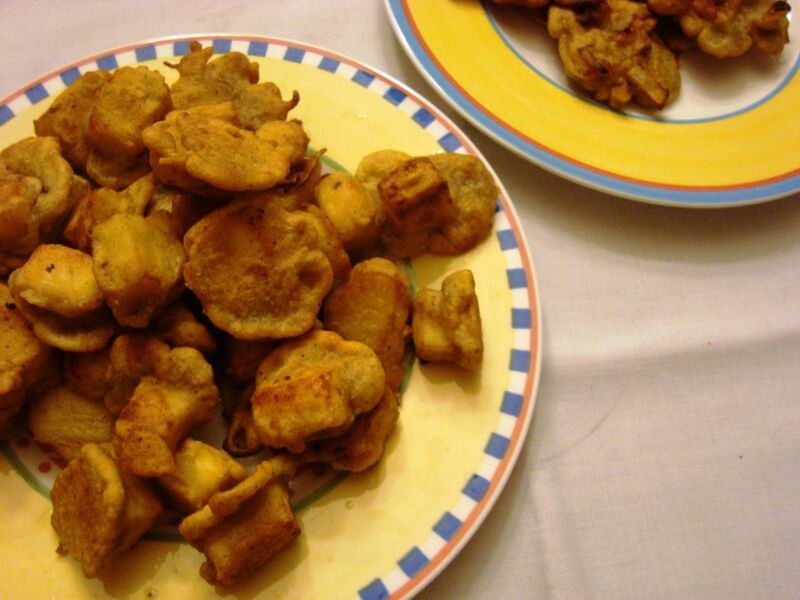 Fried Indian paneer cheese, battered and fried like a traditional Indian pakora is absolutely delicious. Paneer pakoras are made with chickpea flour, which is "stickier" than regular flour when making pakoras. Check in a large health food store or take a trip to a local Asian grocer if your regular grocer doesn't stock it. It's a common ingredient in vegetarian Indian cooking, and, since it keeps well, you can also always order some chickpea flour online. If you don't want to use the traditional cooking method of using ghee (Indian butter), any high-heat cooking oil will do—you can use peanut oil for a nice flavor, canola oil, safflower oil or sunflower oil, or, just use generic vegetable oil. Whisk together the chickpea flour, oil or ghee, garam masala, salt, and chili powder. Slowly incorporate water, adding just enough to form a thick batter. Dip each paneer slice in batter, turning to coat well. Fry in hot oil just until lightly golden brown. These fried paneer slices are best when they're fresh, so enjoy your paneer pakoras hot.